There is water tank beneath the floor. 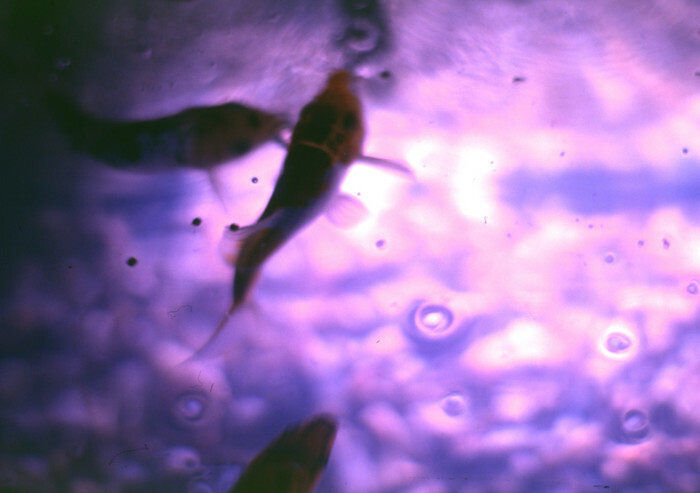 The three carps in the water tank stay still together . However, they starts fighting when they are fed. From the above, I feel beauty. They are living. I might feel same thing if I viewed people’s activities from the above.